Nigeria’s commercial nerve center, Lagos is set to become the continent’s 13th biggest economy, similar to the size of West African nation, Ghana, investment research and advisory firm, Renaissance Capital has revealed. In its latest report titled, “Nigeria Unveiled: Thirty Six Shades of Nigeria,” the company stated that with a per capita income of about $2,900 which is currently double amount of the national average of $1,700, Lagos is at par with countries such as Morocco and Sri Lanka. 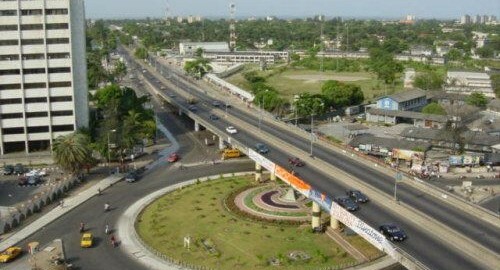 Lagos’ economy is significant to that of Ghana and is the heart of Nigeria’s $284 billion GDP economy. “We base our analysis on states’ internally generated revenue, which make up 15 per cent of state government revenue, and consumption data, as proxies for state income. “Lagos State produces about 12 per cent of Nigeria’s GDP, which is equivalent to $32 billion by 2013 ending. Post rebasing, which we now expect in early 2014, we estimate a 40 per cent upward revision in the country’s national income. “By our estimates, the Lagos State economy will become Africa’s 13th biggest economy in 2014 at approximately $45 billion – equivalent to that of Ghana,” said RenCap. “Lagos is among the states with the smallest household sizes – (4.9 people). Given that Lagos State is the most densely populated state in Nigeria, and its average household size is relatively small, the implication is that property prices (per square metre) must be expensive compared with those in other states,” RenCap further stated. RenCap also further revealed that Lagos has the highest net primary school completion ratio in Nigeria at 70.6 per cent. “The most educated workforce in coming years will also be apparent in the south and south-west, where at least 60 per cent of the children complete secondary school. “We think education levels in the south and south west are likely to spur even faster growth, as we have seen in emerging markets globally,” the company said.